Shirts With Random Triangles: Three-star ILB prospect Clay Randall commits to both Air Force's 2019 recruiting class and America. Three-star ILB prospect Clay Randall commits to both Air Force's 2019 recruiting class and America. Clay Randall. Image via azcentral.com. Air Force has added an eleventh commitment to its 2019 recruiting class. 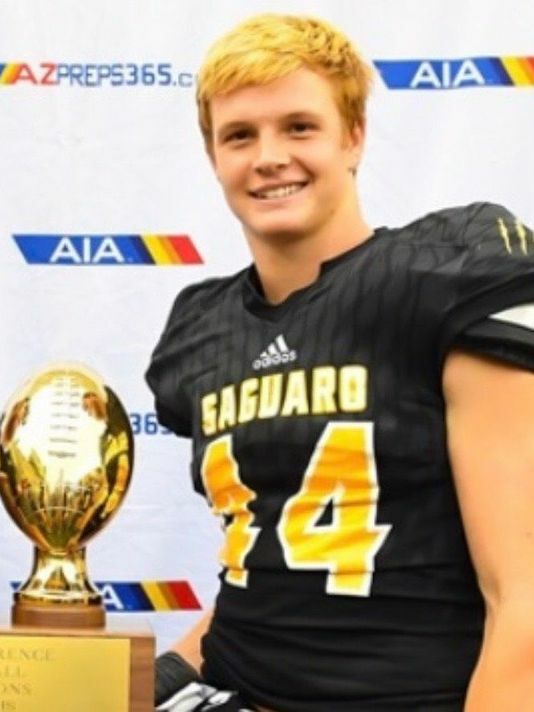 Scottsdale, Arizona rising high school senior linebacker Clay Randall announced his committment to both Air Force, and his country, on Tuesday. Randall plans to play both football and baseball at Air Force. He is both an outfielder and pitcher in baseball, with a .369 batting average during the 2018 season. 247Sports grades Randall as a composite three-star inside linebacker prospect. The recruiting site’s composite prospect rankings for 2019 rank Randall at no. 87 among ILB prospects, at no. 42 among prospects from the state of Arizona, and at no. 2000 nationally. Randall attends Saguaro High School in Scottsdale, Az. He stands 6’2, and weighs 185 lbs.